Add a dash of mystery, several drops of surprise, and an overflowing cup of good humor to your day with ¡Flamenco de Aquí! Saturday, November 7 at 7:30 p.m. at Teatro Paraguas, Santa Fe for an evening of Flamenco song and dance performed by a professional company with local roots. This year Pajarito Spanish Dance Alliance is presenting its annual fall show in conjunction with Flamenco Fiesta del Teatro Paraguas and introducing ¡Flamenco D’Aki!, a local company formed by Flamenco guitarist and singer Ronaldo Baca. Catalina Rio Fernández, Sara de Luz and Elena de Los Alamos. The Pajarito Spanish Dance Alliance is a 501 (c) 3 organization which has brought together local artists to perform, teach and preserve the art of Spanish Dance in Northern New Mexico since 2011. When: Saturday, November 7at 7:30 p.m. 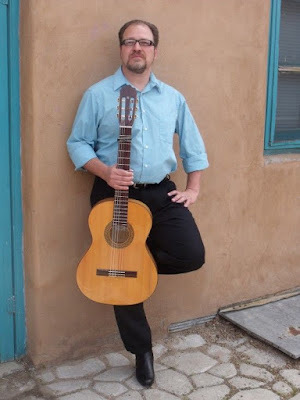 The Pajarito Spanish Dance Alliance, (PSDA), enables the preservation and advancement of the art of Spanish dance and music in the remote region of Northern New Mexico through research, teaching, & performance. 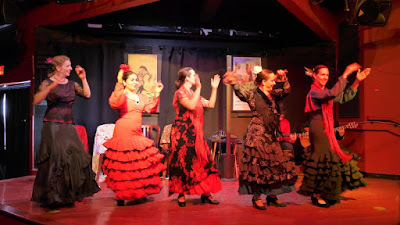 It was founded in 2011 by Ellen (Elena) Walton in order to sponsor workshops and performances in Flamenco and Classical Spanish music and dance for audiences that would not otherwise be exposed to these art forms due to geographical location or economic reasons.